Eh? 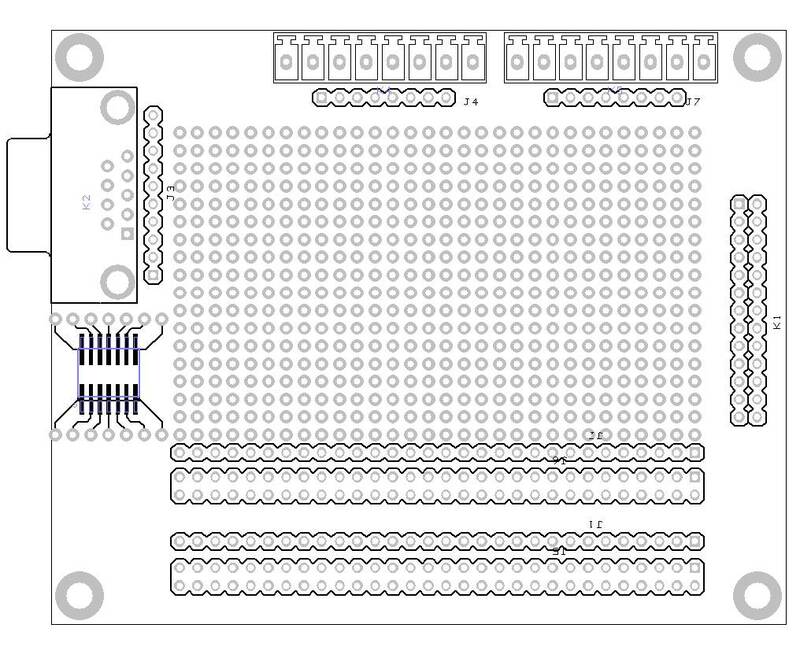 Why another prototyping board? Isn’t the CM I/O a prototyping board already? Yes, it is. And the CMIO ProtoBoard is a prototyping board for you to build circuits directly on with can be used with the CM I/O board and Compute Module. Same as blinking an LED is the first code you write for a new embedded system, designing a prototyping board is often the first thing I do with every new system I work with. I want some thing I can quickly build permanent circuits with, so the days of loose wires spoiling my days are far behind. I want some thing that is cheap and cost effective. I want to experiment with different circuit designs, without worrying if I’ve wasting money every time I start a something new. You are currently browsing the archives for the Compute Module I/O category.